Deviled Eggs are a summertime staple whether it’s at a family picnic, neighborhood potluck, or at a backyard barbecue. 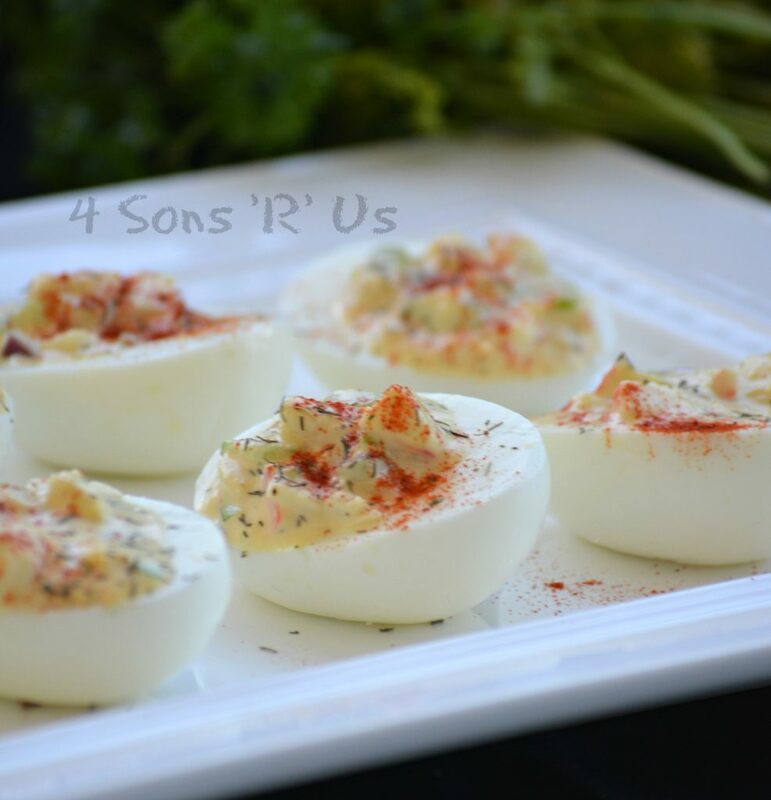 Impress your guests with these Crab Stuffed Deviled Eggs. This spin studs the creamy yolk filling with lumps of crab meat and a hint of heat. 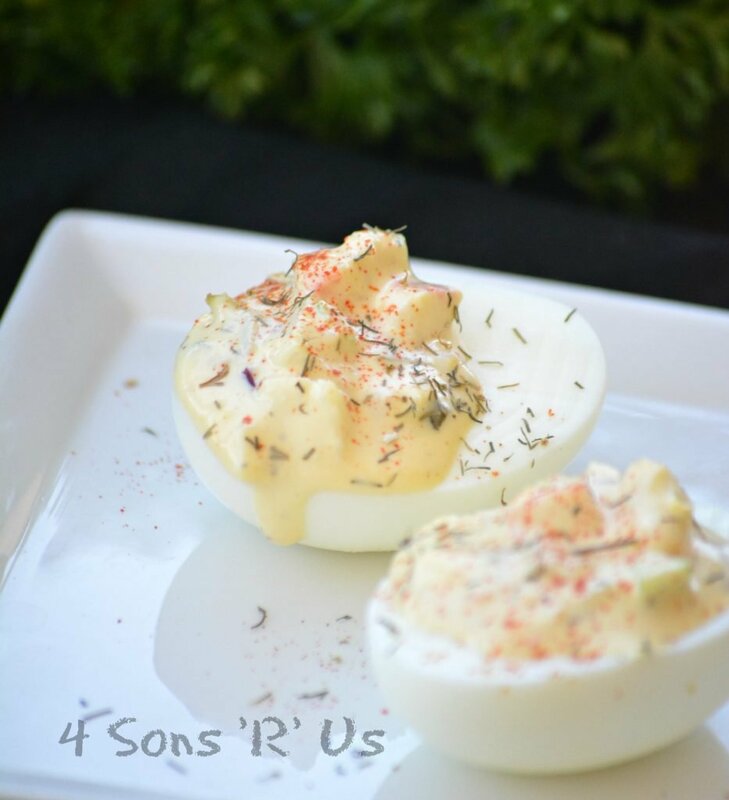 My kids love deviled eggs– love as in if there’s one left someone might be getting a fork in their hand if they’re grabbing for it and they’re over their allotted amount. Seriously. I have to police the egg plate. And while I may chastise them for their table manners where deviled eggs are concerned, and because well it’s never acceptable to accidentally on purpose poke anyone’s out stretched hand with a fork (let alone your brother’s), I do understand the impulse. And that’s just over our regular deviled eggs. A little bit of yolk, mayo, mustard, and one or two secret spices. Add in some extras and include some Seafood and their brains can’t even compute the magnitude of flavor. They can only taste, and let out the odd uncontrollable grunt or moan. High praise indeed from my group of generally chatty Cathy’s at the dinner table. Update a classic Summer side dish with a seafood twist. 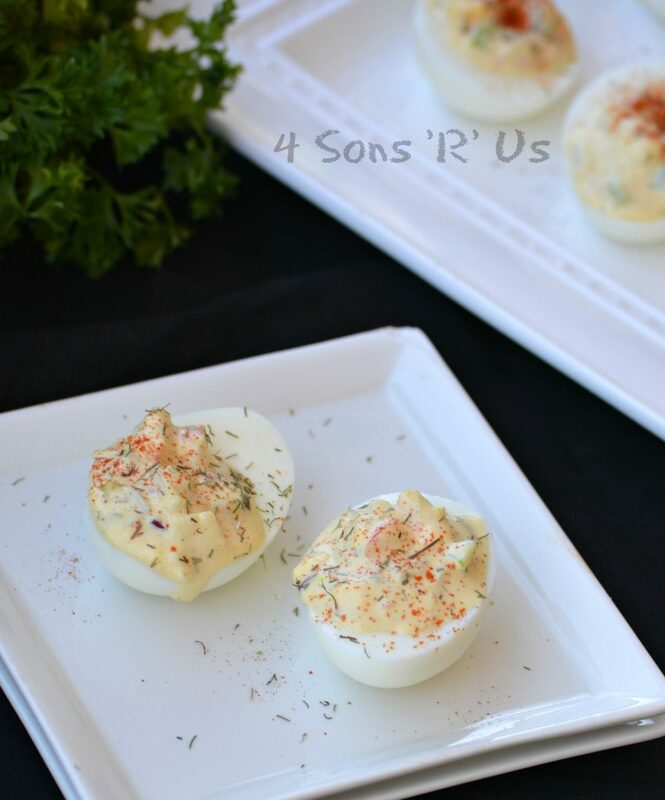 Serve these topped with a sprinkle of dried dill and a dash of savory smoked paprika. It’s a great update to a traditional staple that really makes it something special. Your favorite classic creamy deviled eggs have been given a new once-over, Seafood style for a modern update that's unforgettable. Peel your cooled hard boiled eggs and cut them all evenly in half, lengthwise. Remove the yolks from the white, adding 10-12 to a large bowl and discarding the rest. Transfer all of the separated whites to a large serving platter. To the same bowl with the yolks, add in the remaining ingredients and stir/mash until everything's evenly incorporated. If not to your desired consistency, add a dash more mayo and mustard until it's reached. Keep in mind you don't want it too runny though. Spoon the filling into the egg whites until all the whites are filled and no more filling remains. Refrigerate the eggs for 15-20 minutes to chill. Serve cold. These can be made up to two hours ahead of time and refrigerated until ready to serve. Just before serving evenly sprinkle a dash of dried dill and smoked paprika on top of each egg. You can sub red onion for the shallots if need be. Also, real crab meat can be subbed for imitation. Just make sure it's been drained completely so as not to add additional liquid to the filling. These look like a perfect combo! I have never thought to add crab. Haven’t made them yet, but plan to soon! I’m featuring them as one of my additional features over on You Link It, We Make It tomorrow. Hope to see you there! It’s amazing how many simple dishes can be enhanced by the addition of a little seafood.